In many cases, The Right People First is an easier and more common path to creating a wildfire network than One Great Piece of Content. It’s totally your call as to who are The Right People for your network. That’s the beauty of your own social network. You have the freedom to do anything you want with it. If you choose the path of The Right People First, the key is keeping The Wrong People out. The most successful Network Creators and their administrators are vigilant. For some, this means a private social network. For others, this means an often requested feature that we’re going to be rolling out next month, which is a social network where everyone can view, but only members (aka – The Right People) can contribute. The Right People First is a path that applies to both the online and real worlds. 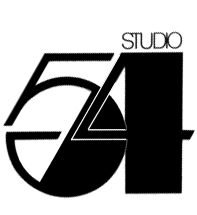 “We thought the ropes at Studio 54 as nothing more than a tactic to exercise the same personal discretion that is exercised when people have a party in their home. We didn’t take it too seriously,” Schrager told us. This isn’t an exaggeration. In the late ‘70s at 54, there was a mix of every type of person you could imagine – young, old, poor, rich, black, white, famous, infamous, you name it. Everyone mingled together. One crowded night I remember walking up to the DJ booth to get a better perspective of the floor. The energy and the mix of people were brilliant; nobody was sitting, everyone was partying. [Steve], co-founder of Studio 54, Rubell and Schrager spent time thinking about every inch of that space; their taste was woven throughout. It was a reflection of their personal vision. Believe me; you knew you were in Studio 54 every second you were inside those ropes. And the experience had nothing to do with the rope itself. A night at 54 was about maintaining an environment that nourished and encouraged diversity, and a mix of people who were happy to be in the same room. Rubell and Schrager followed First Things First and then focused on crafting a phenomenal experience by gathering The Right People night after night. As I’ve mentioned, The Right People First is obvious with private social networks and with the coming public networks where only members can contribute. However, I would also add that public social networks can benefit from cultivating relationships upfront with a small set of The Right People. The Right People care about your topic. They are passionate about hip hop. They love education. They own a Ducati. They have a Bedroom Studio. They write crime fiction too. Find a handful of The Right People First and spend the time with them upfront to make your network what they want. Figure out what the right features are for this initial group. Understand what they want to talk about. Constantly add new things for them to do. On Ning, if you see something missing, drop on over to Network Creators and tell us. The best part of The Right People First is that, by definition, you are the inaugural Right Person. Trust your instincts. Let your passion shine through. And, whatever you do, be authentic. People online can sense BS a mile away. The Right People First path only works if you are authentically guiding your network into a smashing success.